The Lionel Gelber Prize is a literary award for "the world's best non-fiction book in English that seeks to deepen public debate on significant global issues". It is presented annually by The Lionel Gelber Foundation and the Munk Centre for International Studies at the University of Toronto. It is worth CAD $15,000. Founded in 1989 by Canadian diplomat Lionel Gelber, the prize honours "the excellence of those who think and write about the local and global forces of change in international issues". Recipients are judged by a jury panel of experts from Canada, Britain, and the United States. 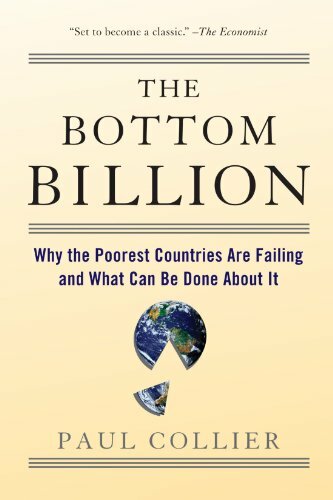 The award has been described by The Economist as "the world's most important award for non-fiction". It is in the Middle East that the U.S. has been made to confront its attitudes on the use of force, the role of allies, and international law. 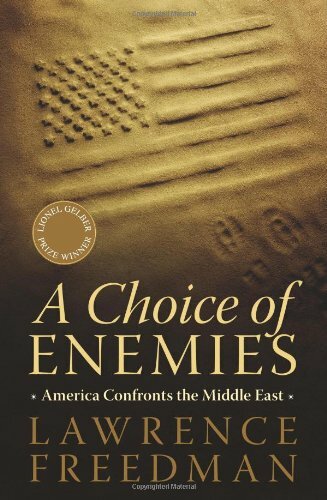 The history of the U.S. in the Middle East, then, becomes an especially revealing mirror on Americas view of its role in the wider world. In this wise, objective, and illuminating history, Lawrence Freedman shows how three key events in 19781979 helped establish the foundations for U.S. involvement in the Middle East that would last for thirty years, without offering any straightforward or bloodless exit options: the Camp David summit leading to the IsraelEgypt Treaty; the Iranian Islamic revolution leading to the Shahs departure followed by the hostage crisis; and the socialist revolution in Afghanistan, resulting in the doomed Soviet intervention. Drawing on his considerable expertise, Freedman makes clear how Americas strategic choices in those and subsequent crises led us to where we are today. The former Beijing bureau chief of the New York Times offers a revelatory history of the complicated, combative and often secret relationship between China and the United States during the past three decades.. The fragile friendship between China and the United States has always been shrouded in secrecy, miscommunication, rivalry, fondness and fear. Shaped by the Cold War during the Nixon, Ford, Carter and Reagan presidencies, the relationship has changed dramatically under Bush and Clinton. China and the United States may be the two most important countries in the world over the next several decades, but until this book nobody has truly explored the history of their relationship. 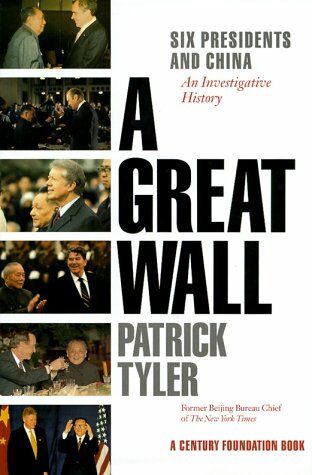 Patrick Tylers booka remarkable, inside accountwill be the classic work on this subject, essential reading for anyone concerned about foreign policy past and foreign policy future. Until the end of the Cold War, the politics of national identity was confined to isolated incidents of ethnics strife and civil war in distant countries. Now, with the collapse of Communist regimes across Europe and the loosening pf the Cold War'd clamp on East-West relations, a surge of nationalism has swept the world stage. In Blood and Belonging, Ignatieff makes a thorough examination of why blood ties--inplaces as diverse as Yugoslavia, Kurdistan, Northern Ireland, Quebec, Germany, and the former Soviet republics--may be the definitive factor in international relation today. He asks how ethnic pride turned into ethnic cleansing, whether modern citizens can lay the ghosts of a warring past, why--and whether--a people need a state of their own, and why armed struggle might be justified. 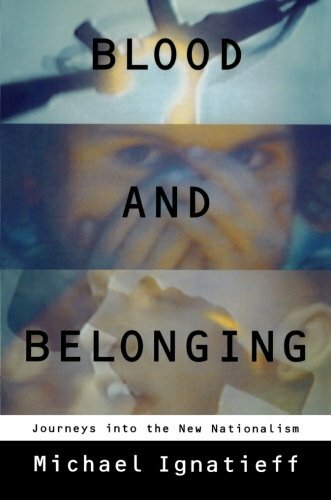 Blood and Belonging is a profound and searching look at one of the most complex issues of our time. 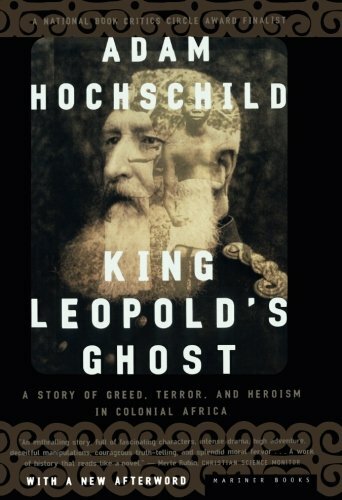 From the author of the widely acclaimed King Leopold's Ghost comes the taut, gripping account of one of the most brilliantly organized social justice campaigns in history -- the fight to free the slaves of the British Empire. In early 1787, twelve men -- a printer, a lawyer, a clergyman, and others united by their hatred of slavery -- came together in a London printing shop and began the world's first grass-roots movement, battling for the rights of people on another continent. Masterfully stoking public opinion, the movement's leaders pioneered a variety of techniques that have been adopted by citizens' movements ever since, from consumer boycotts to wall posters and lapel buttons to celebrity endorsements. 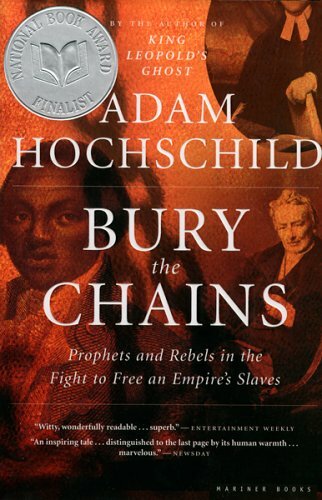 A deft chronicle of this groundbreaking antislavery crusade and its powerful enemies, Bury the Chains gives a little-celebrated human rights watershed its due at last. The Iraqi dissident Kanan Makiya brought the attention of the world to the brutality of Saddam Hussein's regime in his powerful 1989 bestseller Republic of Fear. Now, writing for the first time under his own name, Makiya confronts the broad realities of tyranny in the Middle East and the moral failure of Arab and pro-Arab intellectuals to repudiate it. Makiya first gives us the stories of Khalil, Abu Haydar, Omar, Mustafa, and Taimourthe Arab and Kurdish heroes of this book. Their testimony, revealing the true extent of occupation, prejudice, revolution, and routinized violence, is a compelling example of the literature of witness. 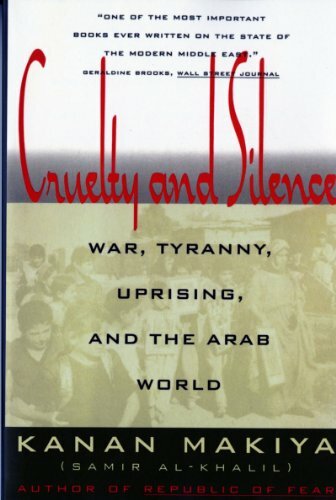 He then links these tales of survival to an examination of the Arab intelligentsia's response to Saddam Hussein and the Gulf War, comparing the flood of condemnation of the West with the trickle of protest over Saddam's mass murder campaign against the Kurds. In his exploration of these "landscapes of cruelty and silence," Kanan Makiya lays out the nationalist mythologies that underlie them. He calls for a new politics in the Arab worlda politics that puts absolute respect for human life above all else. 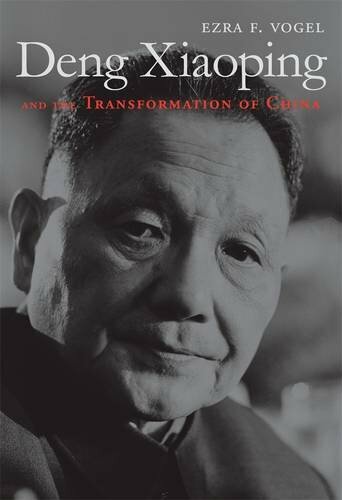 No one in the twentieth century had a greater impact on world history than Deng Xiaoping. And no scholar is better qualified than Ezra Vogel to disentangle the contradictions embodied in the life and legacy of China's boldest strategist-the pragmatic, disciplined force behind China's radical economic, technological, and social transformation. 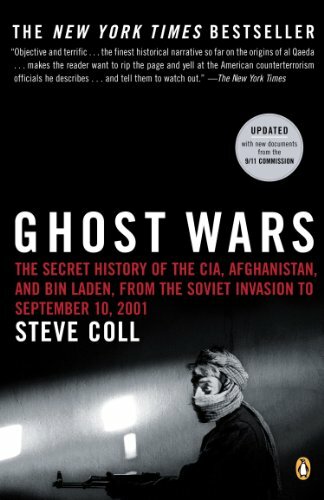 With the publication of Ghost Wars, Steve Coll became not only a Pulitzer Prize winner, but also the expert on the rise of the Taliban, the emergence of Bin Laden, and the secret efforts by CIA officers and their agents to capture or kill Bin Laden in Afghanistan after 1998. Loosing the Bonds is popular, narrative history at its best: a consuming, dramatically told David and Goliath story about the moral power of justice triumphing over powerful forces of oppression. Apartheid-the brutal enforcement of racial segregation by South Africa's white government--became official policy in post-World War II South Africa, coinciding with the rise of the civil-rights movement in the United States. From the Kennedy administration on, Washington spoke against apartheid but, pressured by American corporations making big profits in South Africa and the geopolitics of the cold war, did little to foster change. Anti-apartheid activists turned their attention instead to South Africa's Achilles heel: its economy. Soon institutional America-churches, foundations, union and government pension funds-joined activists and college students in pressuring American business to get out of South Africa. Their efforts built to a climax in the 1980s, when South Africa became the burning issue of the day, the United States imposed punitive sanctions, and the apartheid regime collapsed. Robert Kinloch Massie re-creates the passions and struggles of these years, deftly showing how American and South African politics, money and personalities were intertwined in these years. Populated with real-life heroes and villains, bursting with colorful incident, Loosing the Bonds is an inspiring chronicle of one of the most important struggles of our lifetime. 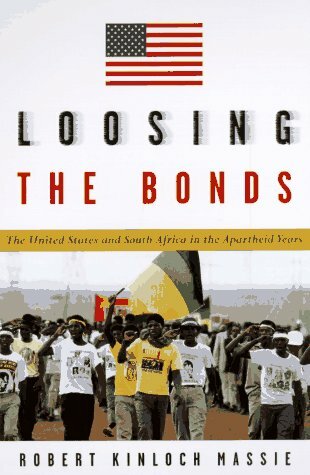 Robert Kinloch Massie, an ordained Episcopal minister and longtime liberal activist, offers the most complete account of how anti-apartheid crusaders in the United States waged economic war on South Africa through a strategy of divestment and sanctions. Loosing the Bonds doesn't lack for detail and may in fact be too long. But Massie nicely combines historical analysis with his insider's account of the movement, and the parallels he draws between the United States and South Africa are often intriguing. An inspiring story of grassroots pressure sparking political change, this book is good tonic for pessimists who don't think individual actions can make a difference. There has always been some gap between rich and poor in this country, but recently what it means to be rich has changed dramatically. Forget the 1 percentPlutocrats proves that it is the wealthiest 0.1 percent who are outpacing the rest of us at breakneck speed. Most of these new fortunes are not inherited, amassed instead by perceptive businesspeople who see themselves as deserving victors in a cutthroat international competition. With empathy and intelligence, Plutocrats reveals the consequences of concentrating the worlds wealth into fewer and fewer hands. 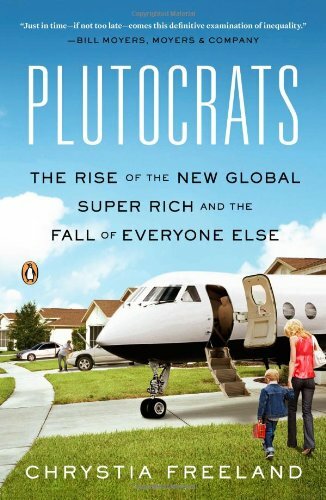 Propelled by fascinating original interviews with the plutocrats themselves, Plutocrats is a tour de force of social and economic history, the definitive examination of inequality in our time. America's response to the September 11 attacks spotlighted many of the country's longstanding goals on the world stage: to protect liberty at home, to secure America's economic interests, to spread democracy in totalitarian regimes and to vanquish the enemy utterly. One of America's leading foreign policy thinkers, Walter Russell Mead, argues that these diverse, conflicting impulses have in fact been the key to the U.S.'s success in the world. In a sweeping new synthesis, Mead uncovers four distinct historical patterns in foreign policy, each exemplified by a towering figure from our past. Wilsonians are moral missionaries, making the world safe for democracy by creating international watchdogs like the U.N. Hamiltonians likewise support international engagement, but their goal is to open foreign markets and expand the economy. Populist Jacksonians support a strong military, one that should be used rarely, but then with overwhelming force to bring the enemy to its knees. Jeffersonians, concerned primarily with liberty at home, are suspicious of both big military and large-scale international projects. 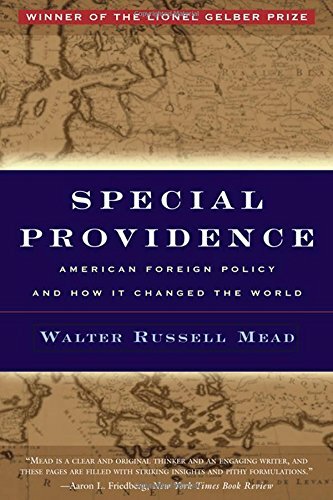 A striking new vision of America's place in the world, Special Providence transcends stale debates about realists vs. idealists and hawks vs. doves to provide a revolutionary, nuanced, historically-grounded view of American foreign policy. One of the most momentous stories of the last century is Chinas rise from a self-satisfied, anti-modern, decaying society into a global power that promises to one day rival the United States. Chiang Kai-shek, an autocratic, larger-than-life figure, dominates this story. A modernist as well as a neo-Confucianist, Chiang was a man of war who led the most ancient and populous country in the world through a quarter century of bloody revolutions, civil conflict, and wars of resistance against Japanese aggression. In 1949, when he was defeated by Mao Zedonghis archrival for leadership of Chinahe fled to Taiwan, where he ruled for another twenty-five years. Playing a key role in the cold war with China, Chiang suppressed opposition with his white terror, controlled inflation and corruption, carried out land reform, and raised personal income, health, and educational levels on the island. Consciously or not, he set the stage for Taiwans evolution of a Chinese model of democratic modernization. 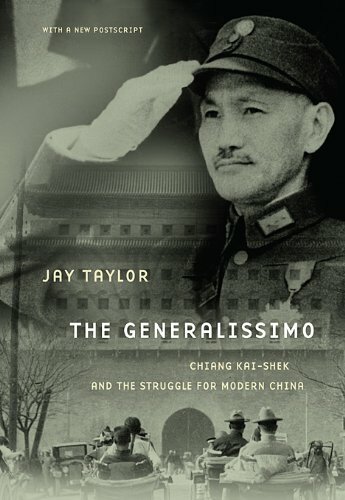 Drawing heavily on Chinese sources including Chiangs diaries, The Generalissimo provides the most lively, sweeping, and objective biography yet of a man whose length of uninterrupted, active engagement at the highest levels in the march of history is excelled by few, if any, in modern history. Jay Taylor shows a man who was exceedingly ruthless and temperamental but who was also courageous and conscientious in matters of state. Revealing fascinating aspects of Chiangs life, Taylor provides penetrating insight into the dynamics of the past that lie behind the struggle for modernity of mainland China and its relationship with Taiwan.